Welded nuts had ripped free from the panel leaving the hood frame flopping about all over the place as it was raised and lowered. 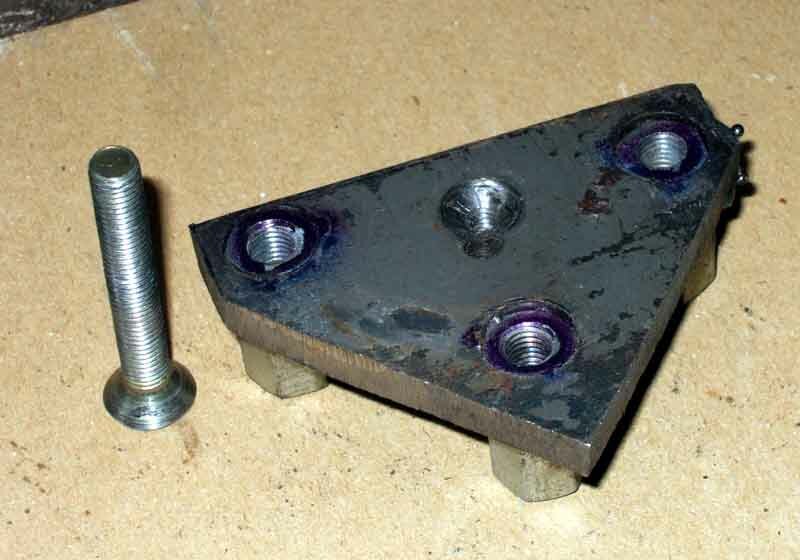 Deep quarter-light nuts welded to a thick base. 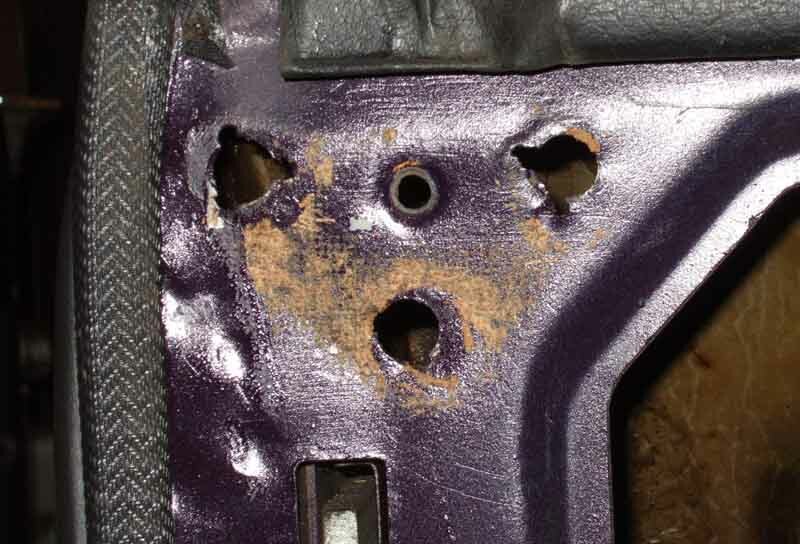 Standard fixing screw shows that even with the stand-offs that are part of the hood frame, and tonneau bar socket when fitted, shows that all the threads of the screws will be engaged with the nuts. 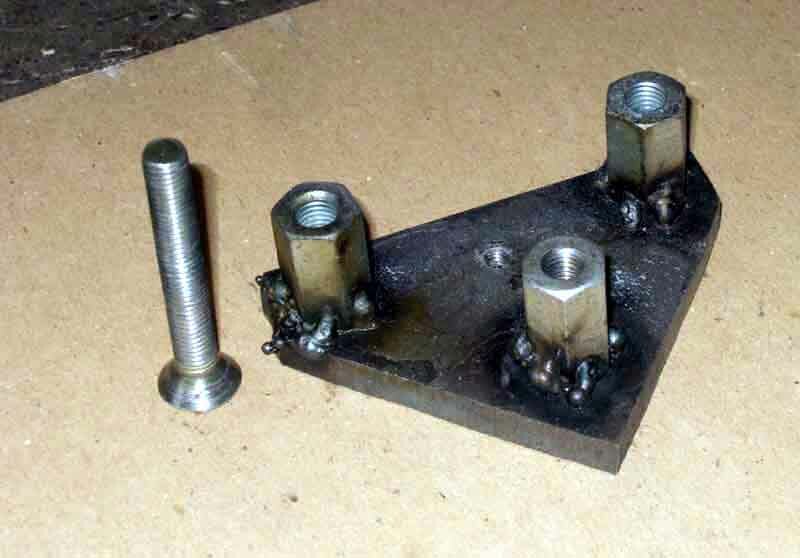 Nuts pressed into slightly undersized holes drilled in the plate prior to welding. Counter-sunk fixing hole drilled and tapped for a screw to hold them in position while attaching the hood frame to the body. 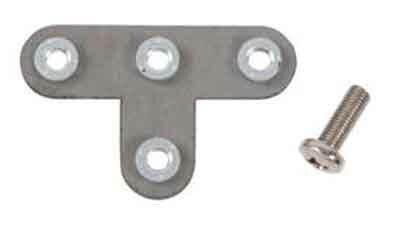 Moss US have produced a similar thing (not shown on the Moss Europe web site but in June 2018 Manchester apparently have them in stock - 0161 480 6402), albeit with much less substantial nuts, and a larger pan-head screw instead of the countersunk I used, for which a hole has to be cut in the trim panel.